Electronic cigarettes are undeniably the hottest smoking alternative in recent years. Many are simply getting hooked using the product because of the authentic smoking experience that it delivers in every hit. The major users of electronic cigarettes are those tobacco smokers who want to try out something new and those that are looking for a healthier and a cheaper alternative to tobacco smoking. The benefits from using electronic cigarettes instead of traditional tobacco cigarettes are endless. If you are interested in trying an e cigarette, I recommend reading our electronic cigarette reviews, or our top ranked e cigarette, Green Smoke. Tobacco cigarettes are known to be expensive products. Electronic cigarettes on the other hand come in affordable prices. They can be used for a long time, making them more cost-efficient smoking alternatives. Consumers can now enjoy smoking minus the ash. Smokers can now enjoy the act of smoking anywhere and even in crowded public places as e cigarettes do not produce any noxious smoke that are known as irritating to both smokers and non-smokers. Consumers can now smoke indoors without having to worry about the foul and unpleasant smoke that typically comes with tobacco smoking. Instead of smoke, vapor is produced by electronic cigarettes and this vapor does not feature any noxious smell even during exhalation. These are just some of the many features that make electronic cigarettes a hit among consumers who have decided to ditch tobacco smoking and switch to e cigarette smoking. You may be curious as to how electronic cigarettes duplicate the traditional smoking experience without the harmful tobacco and tar as part of the the equation. 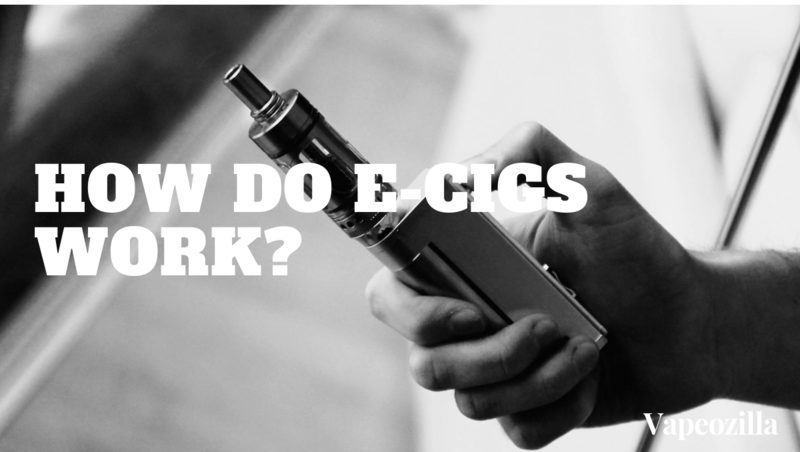 Here is a brief but concise step by step explanation on how electronic cigarettes work. There are basically three main components of an e cigarette namely the cartridge, atomizer, and battery. There are electronic cigarette versions which feature a cartomizer, which is known to be a hybrid and a combination of an atomizer and a cartridge. This is why there are two-part and three-part electronic cigarette variations as well. The cartridge houses a compartment where liquid smoke is placed and stored. The cartridge is also the mouthpiece end of an electronic cigarette. It has holes in it that is directly attached to the atomizer, which is the second or middle part of an e cigarette. Cartridges are replaced whenever the liquid smoke has already been depleted. Consumers have the option of refilling it with liquid smoke or replacing the cartridge with a brand new one. An atomizer houses the heating component of an e cigarette stick. It is made up of filaments which essentially convert the liquid smoke from the cartridge to vapor. The vapor produced by the atomizer flows back to the mouthpiece end of the stick, delivering nicotine and the smoke flavor to the user. Atomizers are also replaced once the filaments disintegrate and become burnt out from regular use. A cartomizer is a combination of atomizer and cartridge and is known to be a major component of two-part electronic cigarette products. Many consumers believe that this design is more efficient in delivering vapor, thus increasing the satisfaction in every hit. Cartomizers are also found by avid e cigarette smokers to be more cost efficient than replacing the cartridge and atomizer regularly. The third part of a conventional e cigarette stick houses the battery and circuitry of the product. Lithium-ion batteries are most often used by majority of manufacturers since they last for a long time. In addition, these batteries can also be recharged, making them a cheaper option than tobacco smoking. A high quality brand also features batteries that can be plugged into the computer for charging. This makes it fairly easy to take an electronic cigarette everywhere you go! The tip of the battery part of the cigarette stick is lighted whenever it is being used and turns off when the battery is low. How are electronic cigarettes activated? The heating component of an electronic cigarette is activated when a consumer takes a drag from the mouthpiece of the device. The liquid smoke that is stored in the mouthpiece then travels and “drips” to the atomizer. The filaments in the atomizer are then heated to a temperature high enough to vaporize the liquid smoke to vapor. The vapor then travels back to the mouthpiece of the device, thus providing the hit that is the most associated with smoking. The vapor replaces the smoke one most commonly observes from tobacco smoking. Although the resulting smoke may look similar to traditional smoke, tobacco and tar is non-existent when one chooses to utilize an electronic cigarette instead. Where does the flavor come from? The e liquid or liquid smoke carries the flavors which one can taste when smoking e cigarettes. 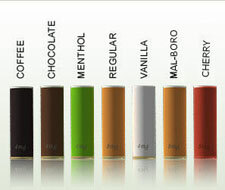 One of the main benefits of smoking e cigarette is the many flavor variants that can be used whenever one is smoking. Conventional tobacco cigarettes only come in limited flavors making them rather dull and boring options for smokers. Liquid smoke base is either made of propylene glycol or glycerine. The hygroscopic quality of these liquids facilitates the easy conversion of liquid to vapor. In addition, they are also proven to be safe for regular consumption by the FDA. Most e liquid flavors come with nicotine concentrations as well. Smokers can choose from a wide selection of nicotine concentrations. There are even nicotine-free liquid smoke variations for individuals who want to stay away from nicotine and simply enjoy the act of smoking. If you have more questions regarding electronic cigarettes, check out our E Cigarette FAQ or read our informative e cigarette reviews. What Chemicals are Present in Tobacco Cigarettes?